The printer market is very competitive. Not only is there competition in pricing and technology but also market segmentation i.e. Original Equipment Manufacturers (OEMs) try to outdo each other by making as many versions of their products as possible. For example, entry level machines don’t offer many margins for OEMs. They still manufacture them because it supports customer acquisition. At Office Hacks here, we haven’t really reviewed entry level printers till now. This is especially true for inkjet entry level printers. However, that changes now because we’re reviewing the Canon Pixma Home MG2560. 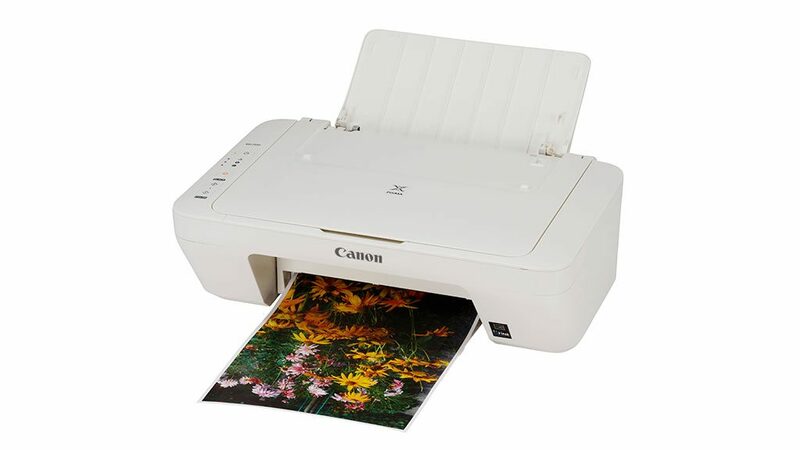 The last Canon inkjet printer we reviewed was a photo A3 printer intended for home use by photography enthusiasts and poster aficionados – Canon Pixma iP8760. While the iP8760 is a machine with advanced features, the MG2560 is more basic and entry level. In fact, the OEM has positioned this model as an affordable all-in-one for home use. 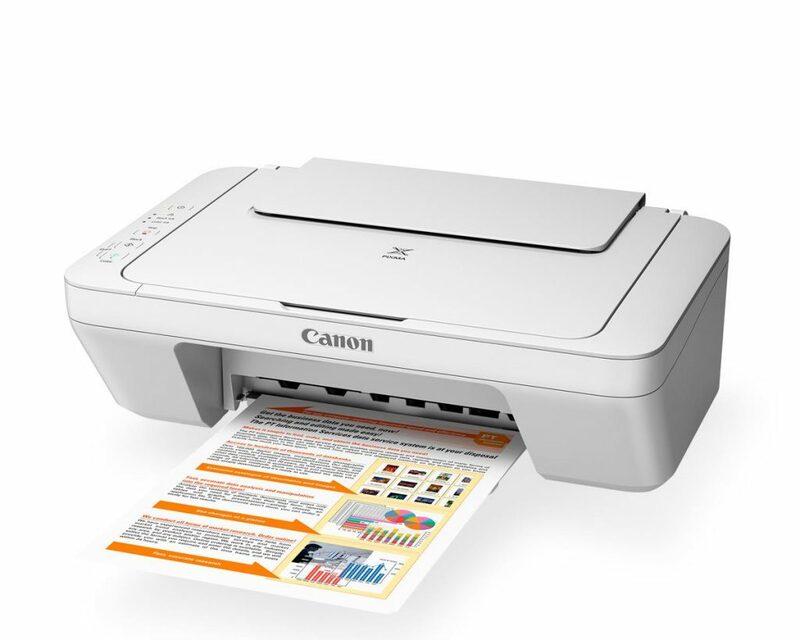 All-in-one means that this device is capable of printing, copying, and scanning. Is this device right for you? Our review should help you find out. The Unique Selling Point (USP) of the Canon Pixma Home MG2560 is its price. The OEM positions it as affordable and they’re spot on with their marketing message as well. To get this device, you won’t have to pay more than $60. In fact, you can probably get this printer for closer to $50 than $60. This means that the Canon Pixma Home MG2560 is within the financial reach of virtually every individual. Another quality of this printer is its power consumption figures. This is possibly one of the most efficient devices on the market when it comes to energy consumption. It is rated to consume only about 1.0W. The Canon Pixma Home MG2560 is also very compact. It measures only 145mm high, 306mm deep and 426mm wide. Owing to its compact nature, you shouldn’t have any problems placing it on your work desk at home. It doesn’t even weigh much, coming in at only 3.5 Kg. As a result, you can move it around freely too, if you want. The output quality of the Canon Pixma Home MG2560 is decent, especially if you consider what you’ll be paying for it. Formally, the device is rated to produce print up to a resolution of 4800 x 1200 dots per inch (dpi) and this translates well in practice too. 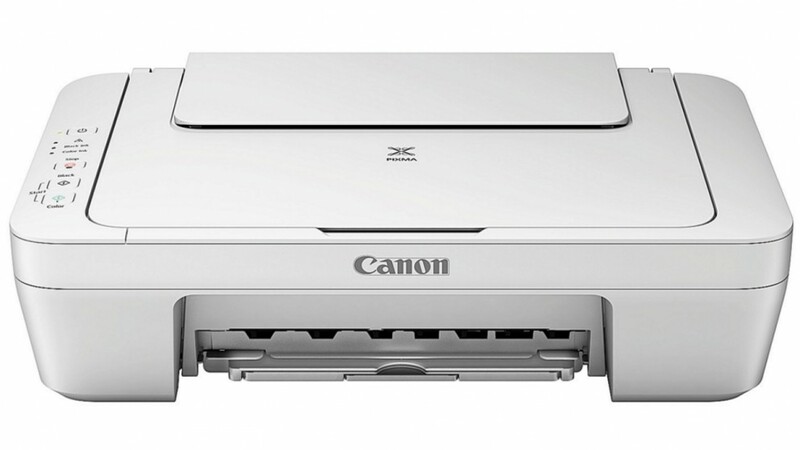 The output quality of this device is largely due to Canon’s proprietary Full-photolithography Inkjet Nozzle Engineering (FINE) technology. The technology behind this printer allows for the generation of 2 picolitre droplets which means greater clarity. The Canon Pixma Home MG2560 is meant for individual users at home. It isn’t meant for extensive or elaborate use. This means that capacities and advanced features can be seen as lacking. For example, because this machine isn’t meant for high volume printing, the OEM hasn’t tried to keep its per-page costs low. 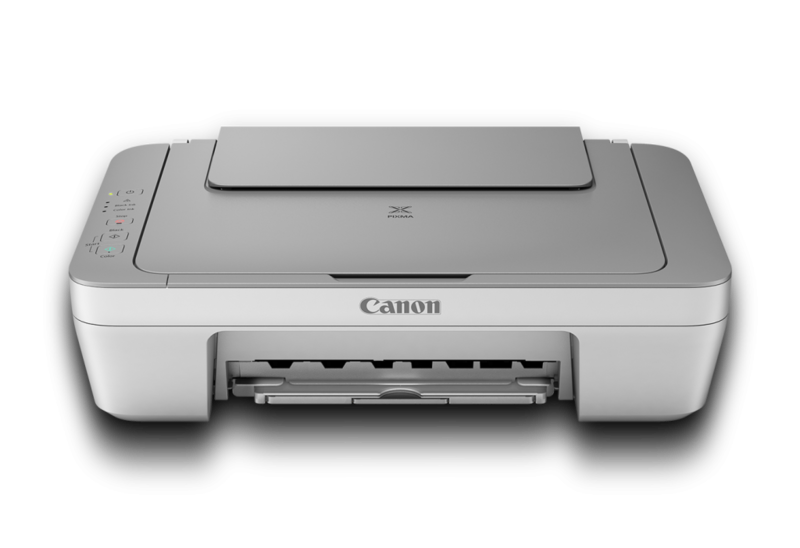 The high per-page cost of running this device will see you shell out around 18 cents for every page you print with cartridges manufactured by Canon. However, you can reduce this slightly to 15.6 cents per page by simply switching to generic cartridges. Good quality generic cartridges offer output quality similar to genuine cartridges, so this shouldn’t be much of a problem for you. Something that may push your running costs higher is systemic decisions by the OEM. Some choices made by Canon aren’t really cost effective for the user such as having cartridges with multiple colours and print head both. This means that if one colour ink runs out, you’ll have to replace cartridges even if other colour inks are still in it. The same principle applies to the print head. Every time you chance the cartridges, you can be sure that you’re ditching print heads that have more life in them. Another significant limitation of the Canon Pixma Home MG2560 is the fact that it doesn’t offer enough connectivity options. The only way you can connect this printer to your device is through a USB 2.0 port. There is no Wi-Fi connectivity option. There isn’t even the Ethernet connectivity option. With such limited connectivity options, it isn’t surprising that this printer isn’t mobile friendly. This means that you can forget about using your Apple or Android device to connect to this printer. The paper handling capacity of the Canon Pixma Home MG2560 reflects the fact that it is intended towards a single user or small family. The printer can handle 100 pages and there are no options to expand this number. It is also worth mentioning that this device lacks automatic duplexing and inbuilt RAM components. The absence of automatic duplexing takes the running cost of this printer higher since reducing paper costs is no longer viable while no inbuilt RAM means that print speed of the device is low. Talking about the print speed of the Canon Pixma Home MG2560, it is rated to produce around 8.4 monochrome pages per minute (ppm). If you plan on using this device mainly for colour printing, your print speed will be even slower at 4 ppm. The device also takes a good amount of time to wake up. From the ‘off’ state, this device will take 31 seconds to produce the first print, which is on the slower side when compared to other similar devices in the market. The Canon Pixma Home MG2560 is also a noisy device which is something you should keep in mind before deciding where you want to place it in your house. We don’t recommend the bedroom even if you plan on using the provided Quiet mode. The printer does come with multiple software programmes that do make the users’ lives easier. Examples of apps that come with this device include Full HD Movie Print, Fun Filter Effects, My Image Garden, Print Your Days, Easy WebPrint EX, and MP Navigator EX. The warranty you’ll get from Canon will be for 12 months with the condition that the device will be sent back to base for repairs if needed. The machine is quite acceptable for a home printing/scanning situation EXCEPT that it only colour prints 4×6 prints…!!! And NOT A4 or any larger than 4×6…! It is remarkably cheap to buy ($18 at Good Guys) and with “compatible inks refilling” it works out really cost effective…BUT…don’t expect to add text to photos… and the scanning needs close attention to the specs when setting it up. ALL in ALL it is worth the money – provided you have low demands and limited expectations… Canon could use the base specifications to create a broader satisfying approach to a basic printer… A4 colour prints…Text adding and multiple sizes for photo printing!!! Simple but obviously too demanding for the designers! Remember when making an item the potential client base should be brought into the discussion. Thank you very much for your insight on the printer. We really appreciate information on how these devices perform in real-world situations as I’m sure the OEMs do too. Have you tried our cartridges? Share with us your opinion about them also, please?